Now a worldwide favorite, Hummus originated in the Mediterranean and comes in many varieties. This basic recipe is quick and easy to make and is yummy with salads, sandwiches or scooped up with baked pita chips. One of the best ways to enrich your life and get a more global perspective on the world is to make friends from other countries. Wherever we’ve lived, we have always managed to meet folks who were originally from distant corners of the world and who never failed to bring with them culinary treasures unique to their home country. One of our dearest friends is from Jordan and is one of the best cooks we’ve ever met. Anytime she brings something to a gathering, from grape leaves to meat pies, she always impresses us with her simple, fresh creations. 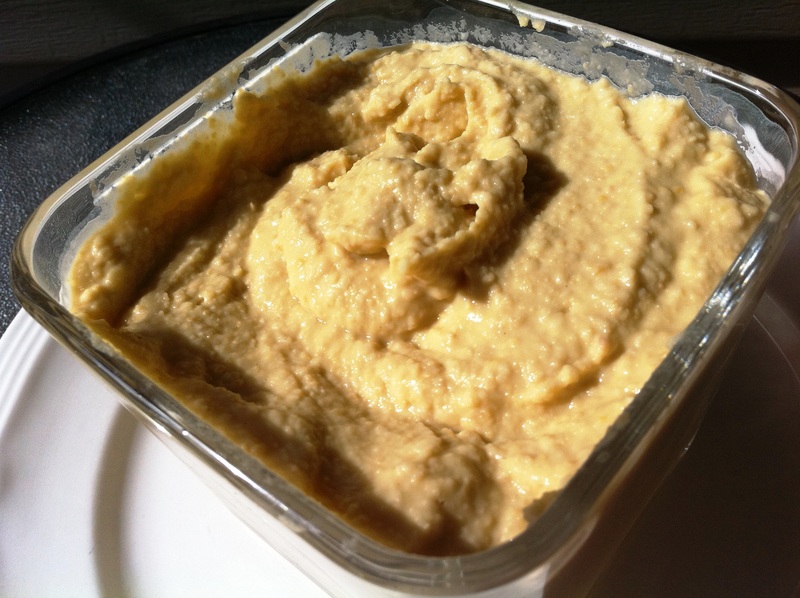 This recipe for hummus is one of the staples in her repertoire. Originally prepared in lands across the Mediterranean, hummus has now gained popularity worldwide and comes in many varieties. This is a basic recipe that is easy and quick to make and delivers a delicious, earthy flavor that is the perfect accompaniment to salads, sandwiches, or even served as an appetizer with baked pita chips. In bowl of food processor combine chickpeas, garlic, lemon juice, tahini, and salt. Pulse to a thick paste. With motor running, slowly add water, then oil, in a slow stream. Taste and add more salt if needed.